Very early open reduction & internal fixation, preferably with in hours of injury. The internal fixation is delayed for few days till it becomes clear that locally there is no potential infection. 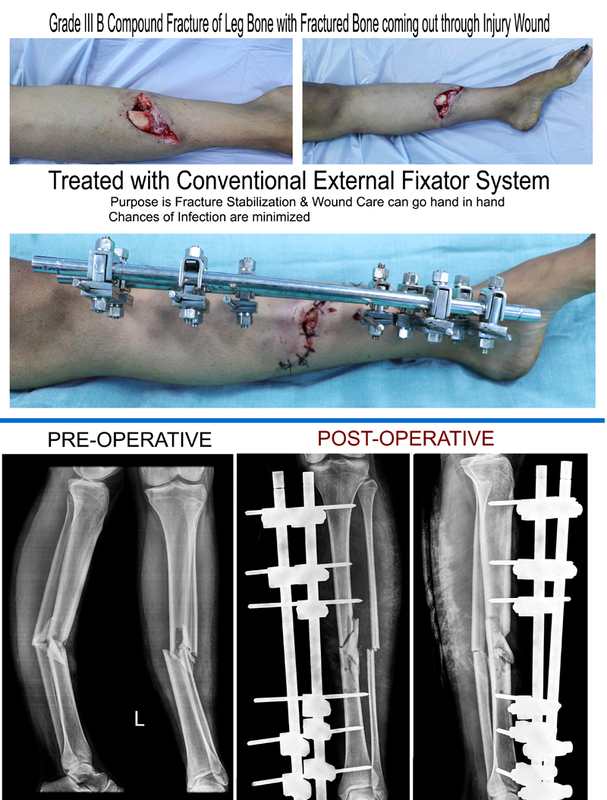 Provisional stabilization with external fixator & definitive treatment of fracture after complete wound healing.